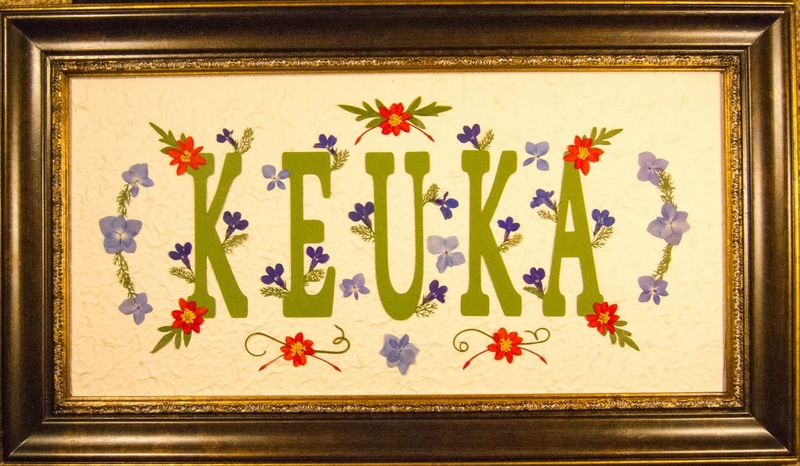 This picture was created based on prior requests to have pressed flower art featuring Keuka Lake. 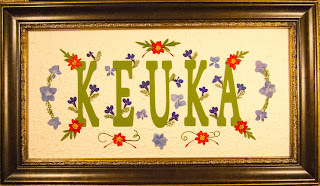 I hope it will find a new home during the Keuka Art Festival, June 13-14, 2015. Nestled in the heart of the Finger Lakes, Keuka Lake has earned the nickname "Lady of the Lakes" because of its natural beauty. Whether sailing its waters, or lounging along its shores, Keuka Lake makes everything appear more beautiful. Botanicals used in this original pressed flower art, include Ixora, Queen Anne’s Lace, Hydrangea, Yarrow, Lobelia and wild onion. It was sealed between a layer of mylar and 99% UV conservation glass for protection.